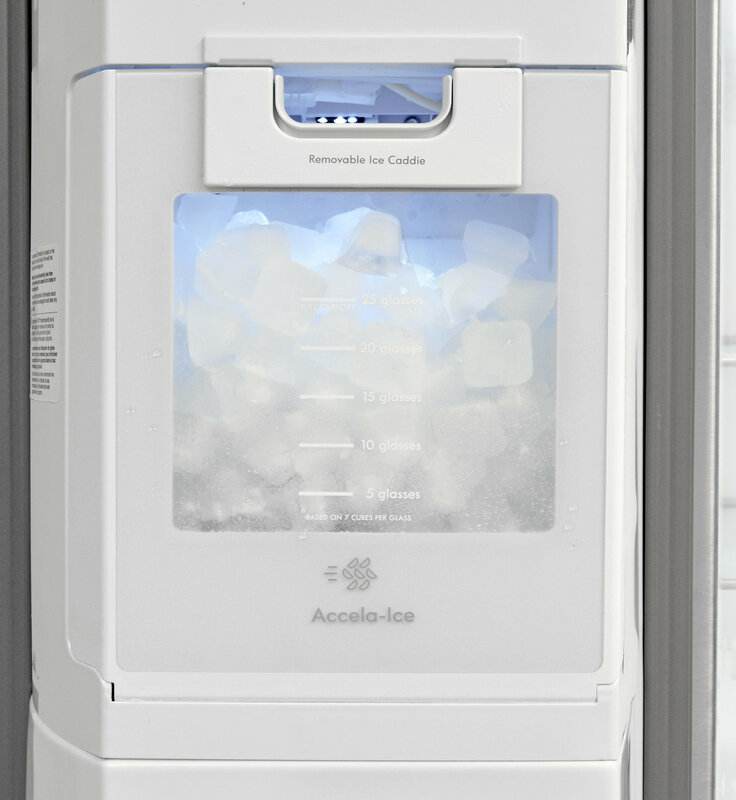 The ice dispenser on a refrigerator is a great feature and, in most cases, taken for granted – until it doesn’t make ice. One of the reasons for an icemaker failure is insufficient water pressure. To work properly, most refrigerators require a minimum of 20 to 40 psi for the icemaker. This ensures that the water inlet valve functions properly. For a particular make and model of refrigerator, the exact water pressure requirement is specified in the installation manual. To verify the pressure value to use in the manual, the manufacturer would make several measurements to determine the minimum pressure. 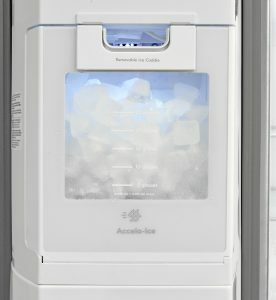 Since refrigerators (and most home owners) do not have a pressure gage, how can insufficient water pressure be ruled out as a cause of an icemaker failure? One manufacturer recommends dispensing water into a large measuring cup for 20 seconds and if the amount of water is more than 13.5 ounces (400 cubic centimeters), the water pressure is OK. If a person really wanted to know the exact amount, they could use one of All Sensors’ SPM 401 Series or CPM 602 Series pressure sensors with media isolation to prevent interface problems. With existing Corporate Average Fuel Economy (CAFE) regulations that include a fleet-wide average fuel economy requirement of 54.5 MPG by 2025, many people conclude that electric and hybrid electric vehicle will have to be a significant part of each car maker’s fleet. However, advanced gasoline and diesel engines may be able to make these standards all by themselves. One example is the Achates Power Opposed-Piston Engine. It has already demonstrated fuel economy gains of 30-50% as well as significant emissions reductions, more cost effectively than other solutions. Achates engine programs are in development at 12 leading engine manufacturers. The Achates engine’s proprietary combustion system has two identical opposed pistons with injectors located at the end of the long axis and consumes gasoline rather than diesel fuel. The engine uses a 2000 bar injection pressure-capable common-rail fuel injection system and has been tested at pressures well above 1000 bar. The Achates opposed-piston, gasoline compression ignition (OPGCI) engine. 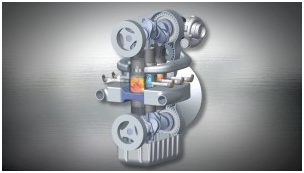 While indirect injection systems in internal combustion (gasoline) engines typically operate in the 40 to 60 psi range, conventional direct rail fuel injection systems on diesel engines already operate at pressures in excess of 100 MPa (15,000 psi). One injection systems supplier, has had a 2,500-bar common-rail system in production since 2014. The higher injection pressure atomizes the fuel more finely, improving combustion to deliver improved fuel economy and increased performance. Commercial water jet cutting systems are used to machine a large variety of materials, including heat-sensitive, delicate or very hard materials. The process produces no heat damage to the workpiece surface or edges. To accomplish this, it uses a high velocity stream of ultra-high-pressure water at 30,000–90,000 psi (210–620 MPa) which is produced by an ultra-high-pressure pump that operates as low as 40,000 psi (280 MPa) up to 100,000 psi (690 MPa). In some applications, abrasive particles are suspended in the stream to cut hard materials such as metal or granite. Water-only cutting is often used for softer materials such as wood or rubber. Because of the use of water, temperature is not a significant factor in the process. However, to withstand the extremes pressures, special nozzles for these cutters are typically made of sintered boride or composite tungsten carbide. 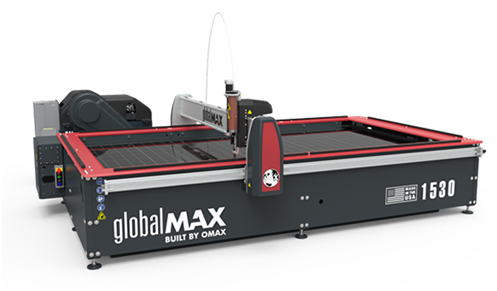 OMAX GlobalMAX 1530 abrasive waterjet machine can cut almost any material and a wide variety of thicknesses without any heat-affected zone. While the ultra-high-pressure in these machines seems to make systems that operate below 100 psi (689 kPa) rather easy to implement, achieving the desired accuracy, resolution and repeatability in the pressure measurements in these lower pressure systems still benefit from the use of microelectromechanical systems (MEMS) pressure sensors.